The ample size allows for a full set of alphanumeric keys, a number pad, and dozen function keys that do double duty as hot keys for music playback, email, and other secondary tasks. There’s plenty of room left over to provide a palm/wrist rest at the bottom. And its sleek wedge shape and matte-black finish with transparent trim will add a little elegance to dreary office desktop setups. The K800’s signature feature, though, is its illumination. When activated via an on/off switch at the top right, the characters on the laser-etched keys are backlit. You can reduce or increase the brightness by pressing the secondary function key—located to the right of the spacebar between the ALT and CTRL keys—and F5 or F6, respectively. Logitech also included hand proximity detection, so that the backlighting will dim when you pull your hands away from the keyboard and brighten when you return them. 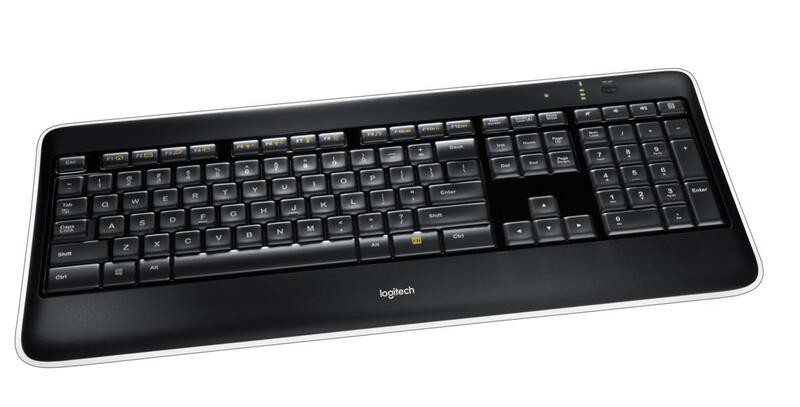 The K800 uses Logitech’s unifying receiver, a 2.4GHz USB dongle that provides better connectivity and allows you to connect multiple mice and keyboards to one computer. All I had to do was plug it into a USB port and the keyboard was up and running. Thanks to the full-size keyboard, touch-typing was seamless moving from my regular keyboard to the K800. The keys were neither sticky nor too clicky, and were noticeably more comfortable to type on. No doubt this is the benefit of the PerfectStroke key design, which enables a key travel of 3.2mm. Research shows that the deeper travel requires less keystroke force than the 2mm to 2.5mm of travel allowed by typical laptop keyboards. Keystrokes felt more uniform and I felt more fleet-fingered as a result. With our increasingly 24/7 workdays, backlit keyboards are more of requirement than ever. The Logitech K800 Wireless Illuminated Keyboard will provide all the light you need to work into the night and a quieter, more comfortable typing experience to boot. 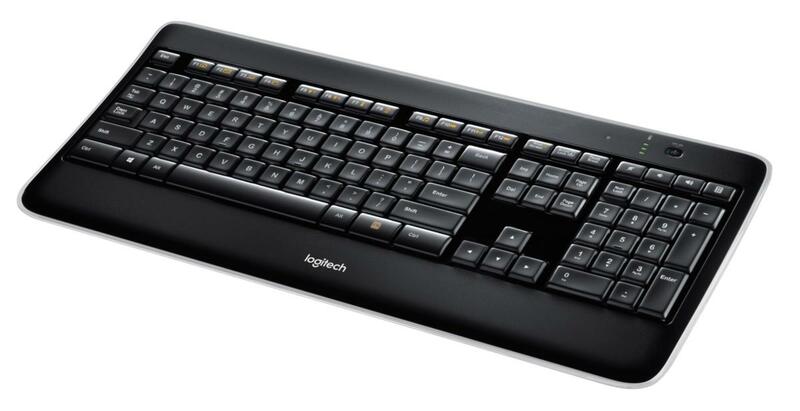 The affordable Logitech K800 Wireless Illuminated Keyboard enables comfortable typing with plenty of backlighting to work into the night.